California law does not look favorably upon any person who prepares or offers false evidence in any court proceeding. In fact, a person who is found to have done either act, whether the proceeding is a criminal trial or a civil trial, can be convicted of a felony under California Penal Code sections 132 or 134. Have you been accused of preparing or offering false evidence under PC 132 or PC 134? The text of both laws is roughly the same length and uses many of the same words and phrases. Both laws are meant to punish persons who intend to use falsified written records (including photographs, letters, email, etc.) to help their case in court. However, they key difference between offering and preparing false evidence is when the act occurs. Generally, you are guilty of preparing false evidence if you have done so prior to the court proceeding; while you are guilty of offering false evidence if you have done so (or have instructed your attorney to do so) as the proceeding is occurring. This also means that a person can be guilty of preparing false evidence even if the evidence never finds its way into a legal proceeding. Thus, the crime of preparing false evidence can be said to be broader than the crime of offering false evidence. Next, we need to know which types of legal proceedings are subject to these laws. The short answer is that PC 132 and PC 134 apply to any kind of hearing or investigation that is authorized by California law. This means that evidence presented in proceedings such as small claims trials, traffic trials, arbitration, mediation, or even pre-trial hearings and motion hearings are subject to these laws as well as criminal or civil trials. Our experienced team is extremely well-versed on all of the aspects of the law. Lastly, what does it mean to say that a piece of evidence is “false?” Under Penal Code 132 PC and Penal Code 134 PC, false is not synonymous with “incorrect.” Therefore, if evidence is offered that is subject to multiple interpretations and the jury disagrees with the offering party’s interpretation, then the person who offered the evidence would not be found to have offered “false” evidence. Instead, under these laws, evidence is false if it is, with knowledge that it is not true, represented as a genuine or true fact. For example, suppose the defendant in a murder trial has an alibi that he was shopping at a hardware store when the victim was killed. As evidence, he presents to the court a receipt showing what he bought on the date and time in question from the hardware store. In reality, the receipt belongs to a friend who happened to buy something from the store on that day, and the defendant asked him to let him use the receipt. Under these facts, the defendant could be found guilty of offering false evidence. The friend could also potentially be charged with preparing false evidence if he knew the accused was going to present the falsified evidence in court. Many criminal statutes require that the defendant knew what he or she was doing, and that their act was meant to accomplish some goal. Under PC 132 and PC 134, this means that the person who prepared or offered false evidence knew that it was false, and had the purpose to deceive the court, jury, or officer to whom it was given or would be given. However, a person cannot be convicted of violating California Penal Code 132 PC or Penal Code 134 PC unless he or she intended that the false evidence would actually be presented in a legal proceeding. PC 132 and PC 134 are felonies that are punishable by a sentence of 16 months, two years, or three years in state prison. You reasonably believed the evidence was true. As noted above, PC 132 and PC 134 require a culpable state of mind. This means that if you were unaware that the evidence you prepared was false, you cannot be convicted under PC 132 or PC 134. If it was reasonable for you to mistakenly believe what you were offering was true, but it turned out to be false, you should not be found guilty of either of these crimes. When you created the evidence, you were not aware that someone intended for it to be used in a legal proceeding. If you were asked or hired to create a document, not knowing that the person who asked you to do so wanted it so that he or she could mislead a court, you could be free from blame for having followed their instructions. Suppose that you are a graphic artist, and you are hired by a beauty products manufacturer to touch up some photos of models by removing wrinkles and bags under their eyes. At the time, you were told that the photos would run in a magazine as advertisements, and you were unaware that the company was fighting a lawsuit for its products having caused severe eye injuries to the people who used them. If the manufacturer used your work as evidence in a lawsuit that its product truly removes wrinkles and eye bags, you could not be held accountable for having prepared false evidence because you were unaware of the company’s true intention for using those photos. 1. Will I be convicted if I did not know the evidence was false when I presented it to a court? Although a zealous prosecutor might try to convict you for having presented false evidence to the court, it is unlikely that he or she will be able to prove that you knowingly submitted false evidence. However, it is crucial that you hire an attorney to investigate any evidence you plan to present. 2. What if the false information was prepared before there was ever a case? 3. What is the difference between preparing or offering false evidence and perjury? Unlike PC 132 or PC 134, perjury under California Penal Code section 118 is a crime of willfully making a false statement while testifying in court, in a deposition, or in a sworn legal document. Although perjury can be in written form, typically, perjury involves lying under oath while giving a verbal statement. Don’t go through your legal battle alone. Wallin & Klarich is here to fight for you. Facing charges of preparing or offering false evidence can be difficult, but you do not have to fight the charges alone. You have the right to retain the help of an aggressive and experienced criminal defense attorney. 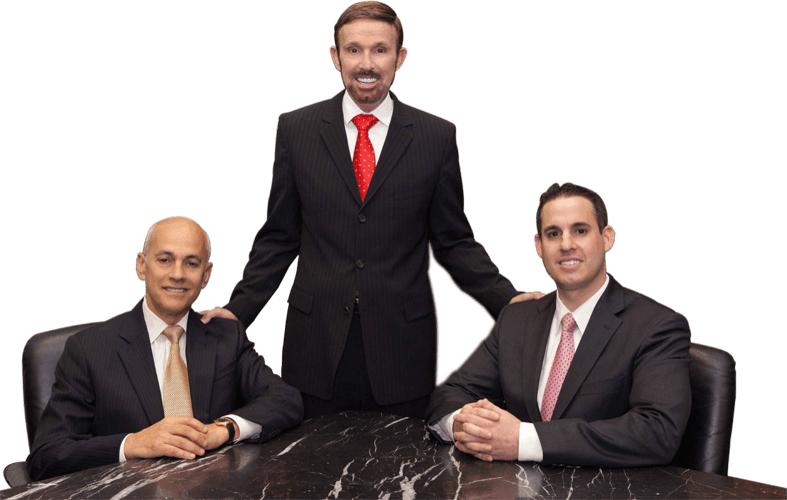 At Wallin & Klarich, our attorneys have been using their legal knowledge for more than 30 years to successfully defend people just like you. We are committed to providing you with the personal attention you deserve, and to helping you overcome this difficult situation.